Happy New Year from all of us at Z57! We hope you’re having a fun and safe holiday season and have had the opportunity to spend time with friends, family and loved ones. We’re very grateful to have you as a valued client and are extremely excited for a prosperous 2014. To close out the year, we’d like to share our top five triumphs of 2013. Our biggest accomplishment of 2013 was the launch of PropertyPulse – our brand new, streamlined marketing platform. PropertyPulse is beautifully designed and provides all the tools you need to stay connected to today’s web, social and mobile savvy buyers and sellers. PropertyPulse is the only all-in-one real estate marketing platform that includes an integrated social media marketing manager along with modern, customizable websites, robust lead and listings managers, built-in marketing tools, training resources and in-depth analytics. If you’re looking for a way to put your best foot forward in 2014 and would like to learn more about all the great features PropertyPulse has to offer, leave a comment below or give us a call at 800-899-8148. 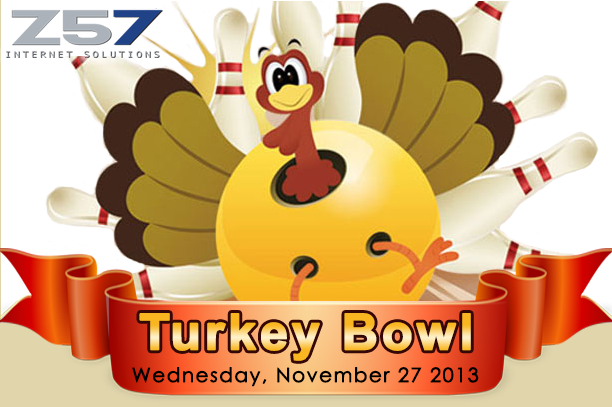 At Z57, we live by 5 core values – one of which is to have fun! In September, we had our annual Battle of the Bay and hilarity ensued. Obstacles included a hula hoop bat spin, egg toss, potato sack race and more! Client Development took home the trophy for the first time in the history of the games. In November, we had our annual Turkey Bowl. All the competitors got their chance to roll a frozen bird down the parking lot to take down as many pins (aka water bottles) as possible and after a few frames, the team with the top score won a cash prize! We collected cans to fund raise for prizes and were able to donate 600 pounds of food to the San Diego Food Bank – creating 489 meals for members of our community. Nothing beats a combination of teamwork, fun and giving back! Our corporate website was so 2012… so we decided it was time for a makeover! 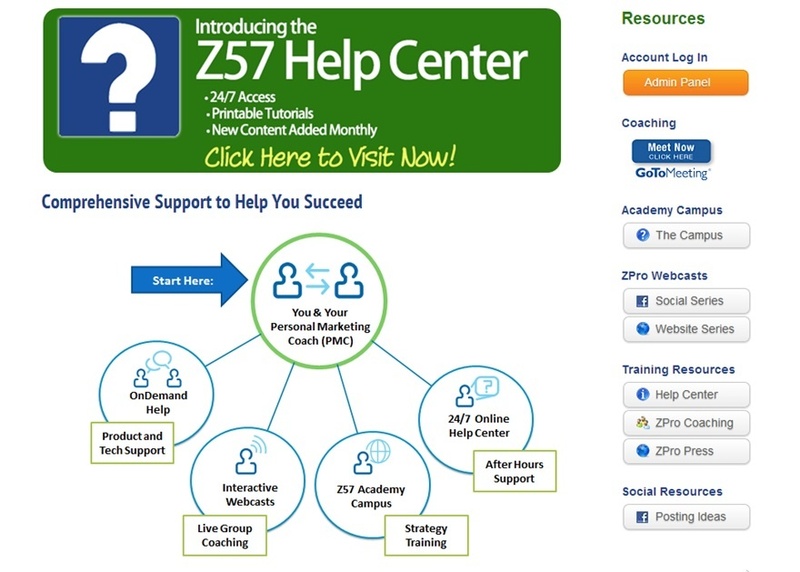 On May 12th, 2013, the new Z57.com was born. We welcomed a fresh new look and feel along with in-depth product information on our new marketing platform, details on our many training resources and easy access to customer support. To complete the makeover, we added easier site navigation, more ways to reach us and much more! 2013 has been a big year with a lot of forward momentum in taking our product and services to the next level but our biggest accomplishment is hearing from our clients that we’re moving in the right direction. Bill Jordan said “I'm in the early stages of changing to the new format. This upgrade is really going to give me a more polished, professional look and it's head and shoulders above anything my competition has going for them.” Thanks Bill – we’re excited to see what kind of great results you get with PropertyPulse. We’re looking forward to hearing more and more of these success stories in the days, weeks and months to come. If you have a success story to share - please click here. We look forward to continuing to providing results-driven tools and training to help you excel in 2014. 2013 brought a lot of exciting changes, product additions, service options and more. If you’re interested in learning what’s new, please don’t hesitate to give us a call at 800-899-8148. Thank you for taking this journey with us in 2013. Have a happy, healthy new year!